The head of Venezuela’s pro-government constitutional assembly said he would have the body take up a proposal Wednesday to strip the lawmakers of their immunity from prosecution. During a national television broadcast Tuesday night, Maduro said statements from some of the six suspects already arrested in the weekend attack pointed to key financiers and others, including Julio Borges, one of the country’s most prominent opposition leaders who is a lawmaker but is living in exile in Colombia. “Several of the declarations indicated Julio Borges. The investigations point to him,” Maduro said, though he provided no details on Borges’ alleged role. Borges did not immediately comment on Maduro’s accusation. 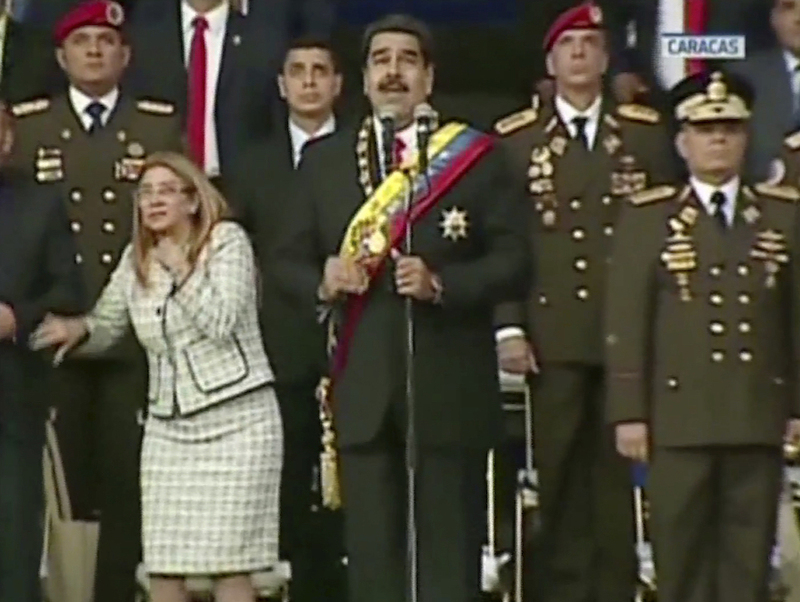 The president also named opposition lawmaker Juan Requesens, who was seen in a video widely circulating on social media being arrested by Venezuela’s political police force. Critics of Maduro’s socialist government had said immediately after the attack that they feared the unpopular leader would use the incident as an excuse to round up opposition politicians as he seeks to dampen spreading discontent over Venezuela’s devastating economic collapse. The events come as Venezuela’s economy continues to hemorrhage and thousands flee to neighboring nations seeking food and medical care. Maduro has grown increasingly isolated, with the United States and other foreign powers slapping economic sanctions on a growing list of high-ranking Venezuelan officials and criticizing his government as an autocratic regime. The International Monetary Fund projects inflation could top 1 million percent by year’s end.